On Wednesday night at the Portland Art Museum, Portland Spaces magazine gave out its first annual Root Awards in about 25 different categories. The Root Awards were given out in three principal categories: Home, Work, and Play, with additional 'Masters' lifetime achievement awards and a special extra category. The workplace-oriented awards went to four projects. Communitecture, Mark Lakeman's venerable (and quintessentially hippy-Portland) firm, won in the 'entry' category for its Sisters of the Road Cafe - a well deserved honor for a humble food kitchen. 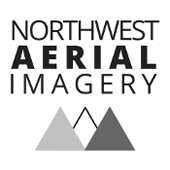 Skylab won the 'office' category in designs for the branding company North (pictured above), while Holst Architecture was honored for the main conference room at the new AIA/Portland Center for Architecture. BOORA Architects won the 'lounge' award for the communal work spaces in the firm's own new offices. The home-centered awards were the biggest category with 11 honors. The overall 'home' award went to architect Nathan Good for his Canon Beach Residence (pictured). This choice surprised me for a couple reasons. First, Nathan is based in Salem now, which I'd think would disqualify him. Second, the runners up were Skylab's M1 house and Giulietti/Schouten's Walnut House, both of which I found far more visually compelling. But Good's project is a net-zero energy house, which the jury understandably found impressive. And it's not like he's not deserving; that project is terrific. I was just aesthetically more jazzed by the other nominees. The comment from juror Iris Harrell may also be telling: "Very Oregonian, very green, very beautiful in a timeless, earthy way." Smacks just a little of Oregon cliche. Also in the home category, the 'building' award went to the Orchid Street City Homes, a LEED Platinum-rated duplex by Building Arts Workshop. I'm not sure how this category differs from the one Nathan Good won, but the Orchid project is impressive. Meanwhile, other awards in this category: Arciform won the 'interior' award for their 'Ranchel' remodel (I prefered finalist Jessica Helgerson for the Zahoudani Residence). Architecture W won for their 'Stump House' in Northeast Portland. I wrote about this house recently for an upcoming Dwell magazine issue and loved it. The home is expected to also earn a Platinum LEED rating and features a remarkable solar heating system. Continuing the home category, BOORA Architects won the 'room' award for its Kitchel Residence, while remodeling company Neil Kelly won the 'kitchen' category for its Ganzini Residence. This was another case were I preferred a different finalist: Paolo Design Group for its 'Tile quilt of many colors' kitchen. Neil Kelly also won the 'bathroom' category for its Young residence, although again I preferred Corso Staicoff's Penthouse Bath project. The 'outdoor' category honored Go Yurt Shelters for its Modern Green Yurt, while the 'yard' category bestowed its prize on the Chicken Sedan by Harley Cowan, a chicken coup which also won the AIA/Portland People's Choice Award. The architect sitting next to me was rolling his eyes with exasperation when the chicken coup won, but its charm is easily apparent. Not to put all my eggs in one basket or ruffle anyone's feathers, but I for one am glad the jurors weren't chicken about singling out this project. Maybe they were just winging it. Sienna Architecture and architect Jeff Lamb won the 'crafted detail' award for their Del Castello Penthouse. This is another hugely impressive project which I had the good fortune to check out while writing a recent article for Luxe magazine. Jeff basically created an entire art gallery in this Vancouver penthouse's foyer. The 'furniture' award within the homes category went to Jason Andrew Designs for the Genevieve chest of drawers (pictured), but the other two finalists--The Joinery's 'studio chair' and JHL Design/Modern Organic Architecture's Beam Chaise--were also excellent. Portland seems to have a bright future in furniture, which fits our city's interest in craft. I also briefly wanted to mention Decca Deca Architecture. They didn't win any awards, but they were nominated for several. But damn, it's tiring me out just writing all these award results. Good thing there was a full bar while these things were being given out! Hey Randy, aren't there 20 or 30 more honors you'd like to bestow while I take a nap? After all, I didn't see a 'closet' or 'cupboard' category in the home awards. How about honoring laundry rooms, or garages while we're at it? Or maybe another dance routine? (There were modern dances performed by Linda Austin and others in between categories.) Just teasing of course - it was a nicely run affair. Awards shows are just natural targets for ridicule, I think, because it's inherently weird quantifying work like this, and because it makes for a long evening, even in a best-case scenario. The 'play' category first honored architect Von Tundra in the 'eat/drink' award for Sip (pictured), a juice cart renovated from a 40-year-old trailer. The 'retail' award went to Communitecture for The Rebuilding Center. I absolutely love this project, with its facade of mismatched windows and building parts. But wasn't it built a few years ago? I wondered if that occurred to Ziba Design, which had both of the other finalists for this award, for its Umpqua Bank flagship and its South Waterfront Discovery Center. Oh wait - the Discovery Center is years old too. The 'hospitality' category was a hotly contested one given the number of new hotels and hotel renovations happening here lately. The award went to Hotel Deluxe, a renovation of the beloved Mallory Hotel by Hennebery/Eddy, which beat out the also excellent Hotel Modera by Holst and Corso Staicoff and the mediocre-looking Lions Gate Inn by Robert Knowles Construction. Even so, the jury's favorite hotel may have been Hotel Murano in Tacoma by Corso Staicoff, which received the 'Portland, World' award for work done outside the city. Continuing the 'play' section though, honors went to the University of Oregon White Stag Block by Fletcher Farr Ayotte for the 'learn' category (educational projects), beating out SRG Partnership's ultra sustainable but tame-looking Mt. Angel Abbey Annunication Center and BOORA's Reynolds 4 Corners School (the latest Heinz Rudolf gem). The 'landscape/community' award went to Opsis Architecture for the Firstenburg Community Center. Opsis really has a knack with public buildings; I still wish they'd been chosen for PSU's new recreation center downtown. For all the sustainable building projects in Portland, the 'sustainability' award went not to a piece of architecture, but a new type of wind turbine by Oregon Wind called the Helyx HE-40. It beat out GBD Architects OHSU Center for Health and Healing, a LEED Platinum project that is maybe the greenest large medical building in America. Finally, the 'rising star' award went to three six honorees: Cecily Ryan of Skylab Architecture (proving Jeff Kovel is not the only star at that firm), interior designer Travis Weedman of Compressed Pattern Design Studio, architect-turned sculptor David Laubenthal of DJL Studio, Works Partnership Architecture, and Eric Kaster of Eleek. And the 'masters' lifetime achievement awards went to architect Joachim Grube of Yost Grube Hall (pictured in his gorgeous self-designed West Hills home, included in a previous Street of Eames tour) for his work in developing countries (he was also a late-career Pietro Belluschi collaborator), interior designer Mirza Dickel, and builder James Frank. Frank is a former cabinet maker who has helped give some of Rick Potestio's sophisticated designs their essential craftsmanship. Looking back on the awards overall, even though I joke about so many 'home' category awards and so many overall, I enjoyed seeing the work of many small design firms and companies doing architecture but also furniture, interiors, landscaping, and sustainable product design. A select few firms have now won both AIA or IIDA (interior design) awards and Root Awards this year, such as Corso Staicoff and Works Partnership. Now if you'll excuse me, I'm going to go soak these typing fingers in ice. Heinz Rudolf had virtually nothing to do with the Four Corners School. It was done by Kevin Nyhoff (architecture) and Jennie Fowler (interiors) while at BOORA. It is a beautiful renovation/reuse of a former racquet club on a very, very tight budget for some seriously disturbed kids. Brian, you are missing WPA in the rising star category...not to mention shining stars or shooting stars. Sorry about the goofs. Eric, I've crossed out the Rudolf reference. (Have you just given your secret identity away?) And truth, I've added Works and Eric Kaster to the rising stars announcement. Guess I must have accidentally left while that last award was still being handed out. I was very anxious to hear how Greg Oden had done against the Heat in the second half. Does anyone think partners at large firms solely execute their own projects? The project wouldn't have existed for the firm if he hadn't brough it through the door. Anyone who knows Heinz knows that he doesn't have a project that he isn't involved in. And Kevin and Jennie didn't do it alone, either. To jchh, I don't mean to imply in crossing out Heinz's name that he wasn't involved in the aforementioned project. But I was purely speculating in that regard, and I seem to recall the firm prefers the design credit to be a firm-wide affair anyway. I think anybody who follows local architecture very heavily knows Heinz is a real rock for BOORA when it comes to green K-12 schools. But like any firm, it's of course a collaborative affair. 1. i am not employed by BOORA. 2. i was reminded by my 'source' that credit should also be given to Brian Jackson, who was the actual principal in charge. One other minor correction ... Deca Architecture has just the one 'c'. Thanks for the awards coverage. To clear up any confusion, works completed in Oregon (including Vancouver as part of greater Portland) by Oregon-based firms between January 2005 and Spring 2008 were eligible. I hope you have time to discuss the proposed Powell's addition in the near future. Let's see, the winning landscape categories included a community center, a yurt, and a chicken coop. Given that a large part of Portland Spaces is supposed to be devoted to exterior "spaces", either the jury was too archicentric or it doesn't say much about the current state of portland landscape architecture. There are wonderful landscape architects and landscape designers in this community and some amazing designed spaces. Why they weren't recognized is, I'm guessing, a failure on the part of the competition. does anyone have any constructive thoughts about the Root Awards for the future? We worked very hard to lay a foundation for the future and to hopefully evolve it into a wider celebration of the ENTIRE design community. Aneeda's comments about our "failure" to properly address landscape design was less about the quality of the work out there than it was about just needing to be sure we could chew what we bit off for the first year. We'd love to hear some real feedback, like, for instance, how to add more categories and disciplines without making it cumbersome. Do you think we should move it farther away from AIA awards? We created the whole thing to try to build community, let us know how to do that better. thanks for providing the forum for the awards, Randy, it's a great way for the wider community to experience good design outside of the AIA/APA/ASLA/ASID/etc. •	landscape architects in this area are have a distinct self-image problem. given time they’ll collectively come around. i would guess the amount of quality submissions from LA’s for these awards was probably pretty sparse, to non-existent. that should increase in future years. •	i would definitely argue for NOT expanding the categories. It seems to me that there’s a place for just about any discipline. i might even argue for less. •	finally, i can’t hold back – the winner in the kitchen category is really bloody awful. the word that comes to mind is schizophrenic. the two runners-up, while not extraordinary, are much more cohesive, and less frenetic. looking through some of the other categories i see many other kitchens of much greater distinction (name-checking an old fave band...). I would agree in part with Eric. I think there are a few issues that may or may not be addressable. One of them being the fairly intense high standard pool of readers that comment on this blog. I would say part of the success of Portland Space's is being able to appeal to a mass market of varied tastes, opinions and expectations. I would argue the categories and judges are on par with this diversity - hence the diverse (and varied) pool of winners. In this respect, I think the Root Awards did a great job. While there are very talented, intelligent and interesting folks who frequent this blog, I would say only a very small part of the general community has any idea this blog even exists (no offense Brian). The point I'm getting at is - this may not be the best place to bite off valuable constructive criticism representing the entire body of the community. On the flip side, the 'creatives' in Portland are increasing at impressive rates. Portland's number of talented people is actually understated I feel. To not value or directly acknowledge this powerful caucus might be a mistake. Providing a platform for those who are not AIA members is a great move. The million dollar question is: How do you appeal to the masses and the critics? I certainly applaud the effort to bring community together. seems to me that there is so much, that the gravity of the recognition has less impact. one comment that seems rather consistent in journalism today. it would sure be nice for all the designers and architects whose work is published and used to sell magazines, to at least take care to credit those responsible for the design of the work. As I think you know, Jeff Lamb is not a registered architect and should not be described as such. Sorry That last post was directed to Brian, not randy. Sorry about referring to Jeff Lamb as an 'architect'. That's my mistake. I know he's not registered as such, and didn't mean to insinuate otherwise. I must say, though, I'm always a little surprised how quick people are to point this out. To me, Jeff is an architect whether he studied architecture, chemistry or theater, even if he doesn't have the registration to prove it definitively and needs someone else to rubber-stamp the documents. sorry Brian, but your attitude towards the term "architect" is more than a little disturbing, given the title of this blog. that rubber stamp is the process of many hours of studying, practicing and testing, not to mention the significant financial outlay. it tells us that the holder has a minimal level of competence to practice architecture in the eyes of the state. it is actually illegal to call yourself an architect in this state without one. if you had to go through what many of us of various disciplines did to get that cheesy little stamp, you might have a different attitude towards the subject. brian, replace "architect" with "doctor", "lawyer", or "engineer" and then see how you feel. I attended the awards event, and it was a great success on it's own measure. The only comment I heard from other attendees was the desire to 'see' the award recipients. The format of announcing winners and delivering awards was efficient, but we all wanted to see the smiling faces. Congratulations on a successful first Root Awards. Guys, I see what you're saying about "architect" as distinguishing a professional with training like a doctor or engineer. I fully admit Jeff is not an architect. I guess I characterized the debate too much as splitting hairs. But what Jeff does creatively is help create architecture, even if he's not an architect. That's what I wanted to focus on. It's not to say someone with an architecture degree and no registration is the same as a registered architect. But if Jeff were a doctor, I'd still trust his healing abilities/knowledge even if he didn't officially have an MD after his name. I don't see what the fuss is about loosely using the term "architect". As eric c. mentions above about the self image problem of local landscape architects, we have been living with local critics calling us landscape designers for years. Some of the best 'architects' aren't architects. Sorry, it's true. In my mind, if someone is designing and their level of design innovative and compelling, that person is an architect. It doesn't matter, except to the envious architects. They need to get over it. I think you have in mind as a model, the Portland Design Festival, Katz's program of a few years back. I hold that the PDF was the best design awards and show ever held, for many reasons: It was all inclusive. It exhibited the entries in a very public and professional manner. It included a number of talks and parties, where, to the greatest benefit of all, designers from all disciplines met each other... and finally, the awards were given to the highest quality work. I am not sure how that model fits with the Spaces Magazine focus, or if it needs to. But I do want to emphasize that, from the perspective of the designer, the best part of PDF, was the exposure through exhibition, and the opportunity to meet designers in other disciplines. Could you team up with sister publication, Portland Monthly to do a more comprehensive awards program? I think the credibility and stature of the awards will be based on the design quality of the winners your jury selects each year. As a design competition, I think that design quality must be the foremost consideration. Thanks for all the comments and, especially, for appreciating the demands of appealing to both wide and deep audiences. A couple of clarifications: I only played a role in picking the Masters and Rising Stars. All the other awards were selected by jury. I watched many good designers and some good friends end up as runners up or get no notice at all. I'd welcome suggestions for jurors for next year -- keeping that needed balance of understanding and appreciating design, craftsmanship and sustainability in mind. 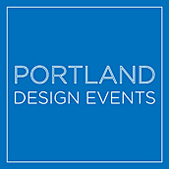 I would like to expand the categories to include other design disciplines so that the awards will be a celebration of ALL the design talent in Portland. What I'm thinking is maybe a two-tiered system where maybe "bathrooms" and "kitchens" and the like could get awards and be featured on the web site, but the best overall "room" of any kind would get a grander award and be in the magazine. We could do something similar with, say "apparel" and "industrial design" and such. Finally, yes, the program was too abbreviated in its treatment of finalists and winners. We were really worried about it being too long. It ended up being 45 minutes shorter than we expected! But thanks for your thanks and support. We worked really hard as we will do in the future. So hang in there with us! In response to your (rhetorical?) question about Ziba in this post, the firm entered designs for the Root Awards that fit into their time criteria -- 2005-2007. Some of those projects may have been initiated in 2005, but evolved over time (e.g., Umpqua 1.0 and 2.0). The projects entered were the ones that related best to the award categories. Ziba does create environments and"spaces" but much of its work is in other kinds of experiences and products that do not fit the bill (but that have won other awards). Just clarifying. Thanks! What better new car or used one? If you know some specific resources, please give me a url. There is a rumor that Siena and a.k.a Jeff Lamb and Gary Redick are closing their doors for good at the first of the year so whatever you address as "architects" it really doesent matter anymore.